Comfortable Beachfront Resort with Easy Access to Tamarindo Nightlife. 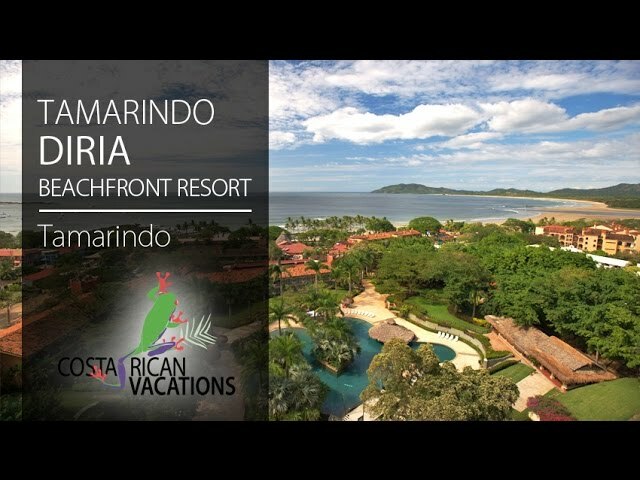 Tamarindo Diria is a large beachfront resort in the heart of the town of Tamarindo, one of the most popular beach destinations in Costa Rica, famous for its surfing, party atmosphere, and tropical dry forest setting. The sunsets over the Pacific Ocean are stunning! Tamarindo Diria is perfect for anyone looking for a clean and comfortable no-frills resort, close to lots of restaurants, bars, nightlife, and shopping. The hotel has 239 rooms in five room categories with basic furnishings making your stay comfortable. All the rooms have cable television, phone, A/C, WiFi, and a safety deposit box. The most spacious of the rooms is the Ocean View Premium Suite, perfect for a group of friends or a family. There is an adult-only section of the hotel where you will find the Tropicana rooms, as well as an adult-only restaurant, bar, and swimming pool. The hotel amenities include four swimming pools, cold Jacuzzi, tennis court, casino, amphitheater, five restaurants, beach bars, and swim-up pool bars. The five restaurants offer a variety of cuisines such as grill, tapas, pizza, traditional Costa Rican food, European cuisine, steak, and seafood. Included in your stay is a daily buffet breakfast. WiFi is available all over the property. Features the biggest scenic pool in Tamarindo. Enjoy a massage in the privacy of your room. The hotel is next to Tamarindo’s town center, with great shops, restaurants, and bars. Privileged location allows guests to enjoy some of the best dining in town.